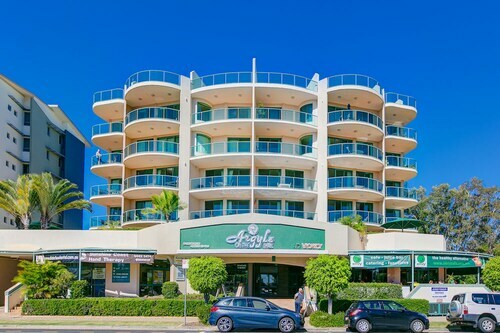 Situated near the bay, this apartment building is 0.3 mi (0.4 km) from Noosa Marina and 1.9 mi (3 km) from Tewantin Noosa Golf Club. Noosa Beach and Hastings Street are also within 6 mi (10 km). This family-friendly Tewantin campground is within 3 mi (5 km) of Noosa Marina and Teewah Beach. Lake Weyba and Noosa National Park are also within 6 mi (10 km). This family-friendly Tewantin campground is within 3 mi (5 km) of Tewantin Noosa Golf Club and Noosa Marina. Hastings Street and Noosa Beach are also within 9 mi (15 km). Wotif visitors in Sunshine Coast who are chasing down a cool place to base themselves in Tewantin have plenty of choices. Currently, we have 23 hotels within a radius of 5-kilometre. If you would like to be in the middle of things, the Eumarella Shores Noosa Lake Retreat and the Portside Noosa Waters are your best options. Wotif also offers the Noosa Lakes Resort and the Coral Beach Noosa Resort. The only suburb within 8 kilometres of the center of Tewantin is Hastings Street, so make sure you have a squiz at the selection of 15 hotels it has on offer. Fairshore Noosa and Netanya Noosa are some nice accommodation options for you. Have a picnic with the kids at Noosa Marina and listen to the gentle waves on the pier. Book a stay at The Islander Noosa Resort and Twin Quays Noosa Resort, and you won't be too far from this attraction. Be sure to bring your best putter and make your way to the well-manicured hills of Tewantin Noosa Golf Club. Stay at Noosa Caravan Park and Ingenia Holidays Noosa and you can stop by this hotspot as much as you like. If you find yourself in need of more accommodation options in Tewantin, look into the Maison Noosa Beachfront Resort and the Sofitel Noosa Pacific Resort. They are 7 kilometres and 7 kilometres away from the center. Further alternatives are the Bella Casa Noosa, 8 kilometres away, and the Retreat Beach Houses, 11 kilometres. The close by localities of Eumundi and Peregian Springs are worth checking out. Eumundi is 11 kilometres to the southwest of Tewantin, while Peregian Springs is 13 kilometres to the southeast. Eumundi accommodations include the Eumundi Gridley Homestead B&B and Coverdales B & B at Eumundi. 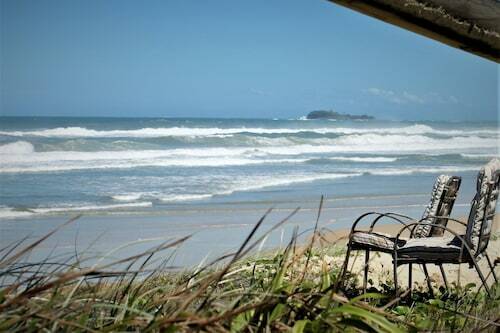 The Coolum Caprice and Coolum Seaside are some of the better ones in Peregian Springs. If you are flying into or out of Sunshine Coast Airport and choose to stay nearby, check out the latest deals at The Sebel Twin Waters or the Sand Dunes Resort. How Much is a Hotel Room in Tewantin? Hotels in Tewantin start at AU$90 per night. Prices and availability subject to change. Additional terms may apply.